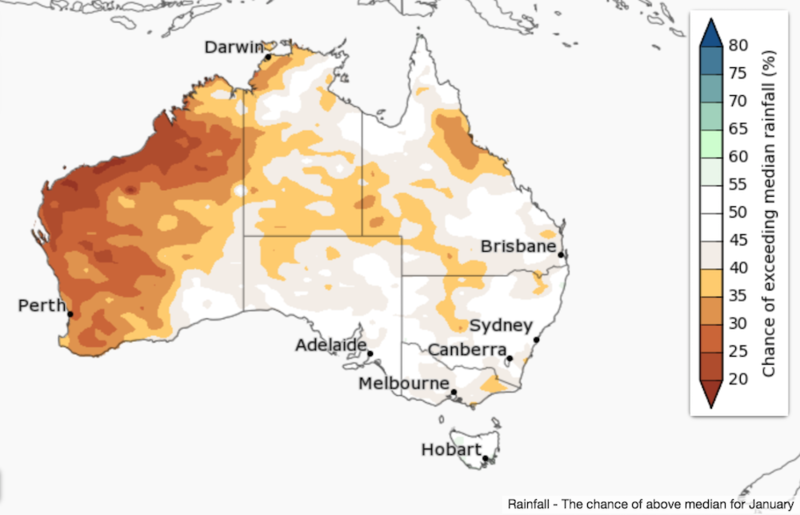 January to March is likely to be drier than average for WA, parts of the northern NT and eastern mainland Australia. For the remainder of the country, there are roughly equal chances of a wetter or drier three months, i.e., no strong tendency towards a significantly wetter or drier than average season ahead. 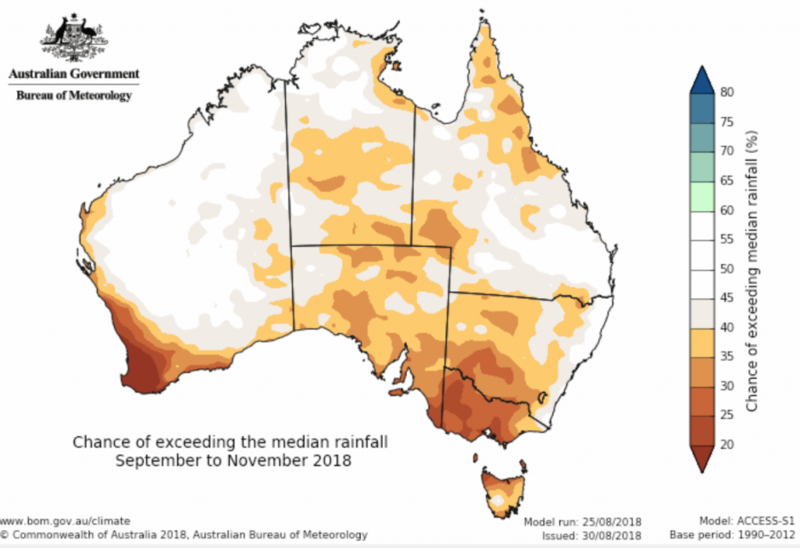 Historical outlook accuracy for January to March is moderate across western and southern mainland Australia, as well as the northern NT and northern Queensland. Elsewhere, accuracy is low to very low. January to March days are very likely to be warmer than average, with probabilities exceeding 80% for most of the country. 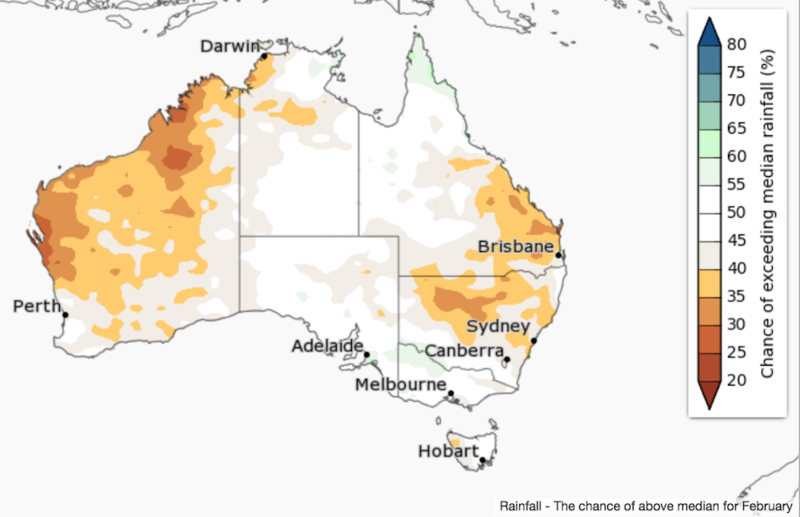 Over parts of the southern mainland and south of the Gulf of Carpentaria, the chances of exceeding median daytime temperatures is closer to 70%. 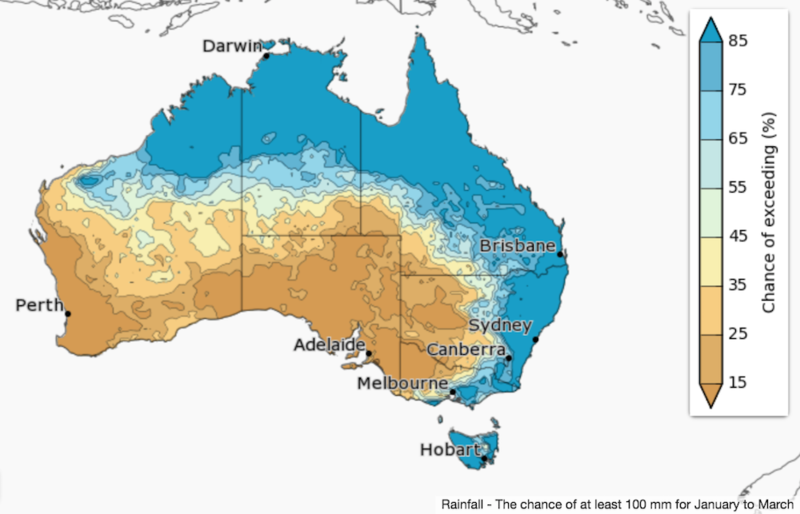 Chances reduce to around 50% along WA’s coast from Albany to Exmouth. 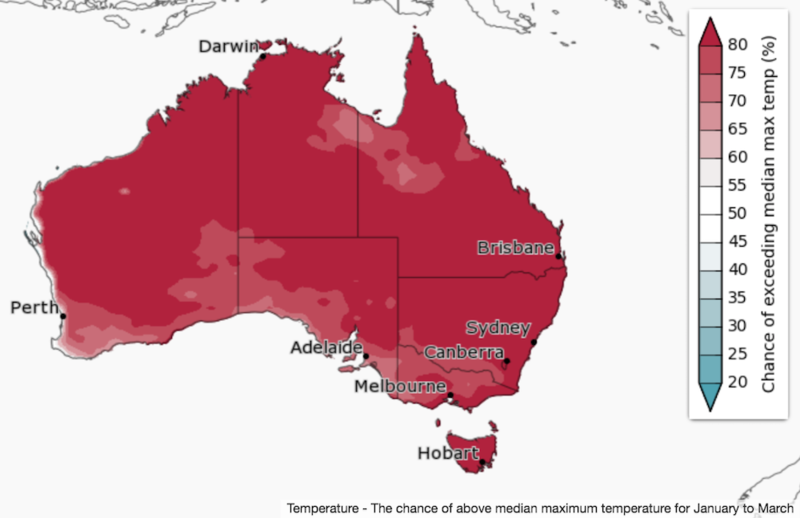 January to March nights are also very likely to be warmer than average across most of Australia, with chances of warmer than average nights exceeding 80% over northern and eastern Australia. Far western WA is more likely to have cooler than average summer nights. 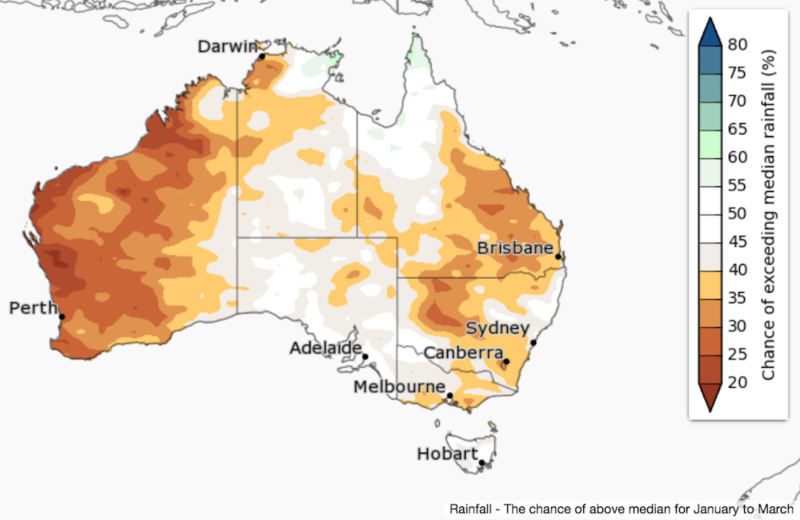 Historical accuracy for January to March maximum temperatures is moderate to high across most of Australia, but low surrounding the Great Australian Bight, and to the south of the Gulf of Carpentaria. 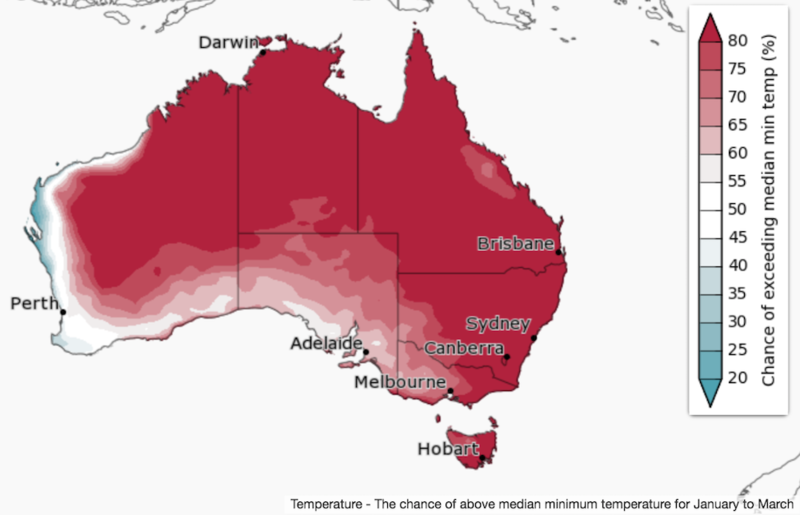 Minimum temperature accuracy is moderate to high for most of Australia, except the central NT and central to western parts of Queensland, where accuracy is low to very low.